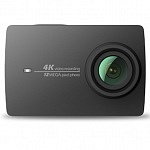 YI 4K Action Camera was introduced in May 2016 and marked the first Action Camera from YI to offer 4K resolution and touch screen. 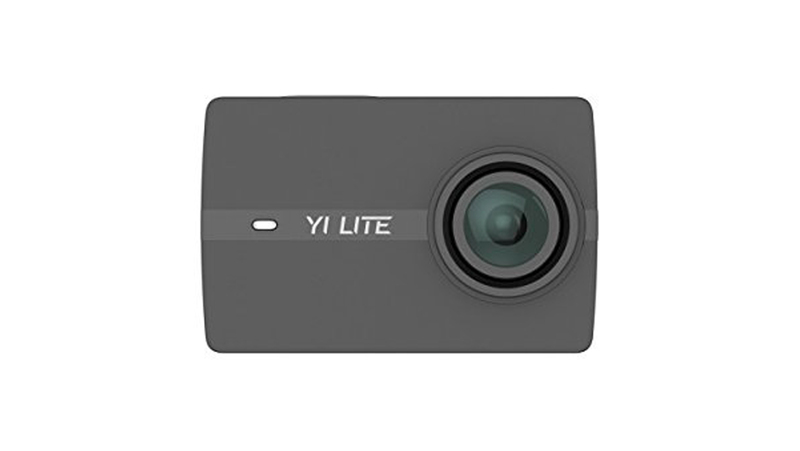 In January 2017 YI introduced an upgraded version of YI 4K called YI 4K+. Due to a new processor (Ambarella H2), the upgraded model offers 60fps in 4K resolution and image stabilization up to 4K with 30fps and a USB-C port for an external microphone. 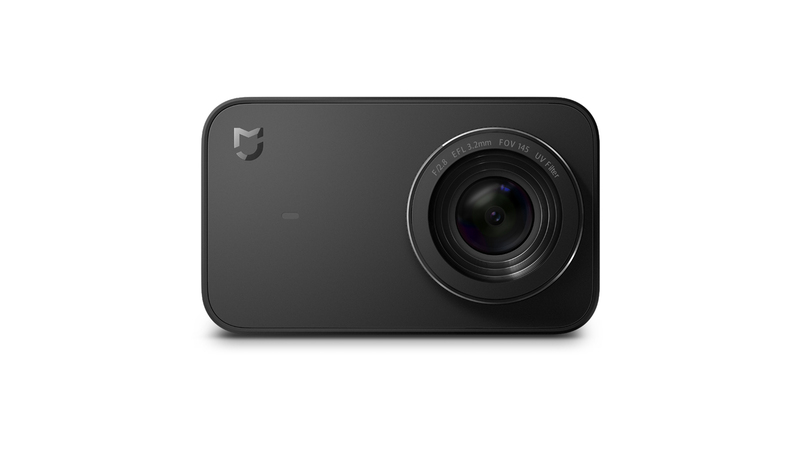 Don’t get confused this camera is from Yi Technology, there is also a Xiaomi Mijia 4K Action Camera. 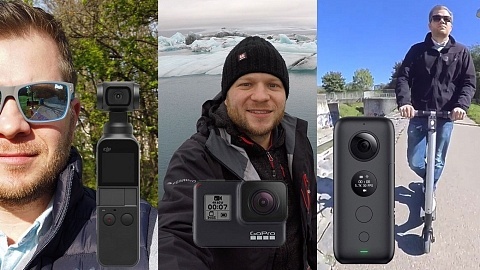 Here’s a comparison of the current product lineup of YI Action Cameras. 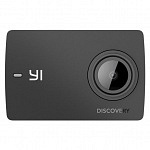 On a side note YI Technology also offers a Dash Camera and a mirrorless MFT camera. It seems weird that the first YI camera and YI Lite got the largest sensor (16MP compared to 12MP), but the IMX 206 being used is not capable of 4K resolution. It benefits the photo capabilities tough. 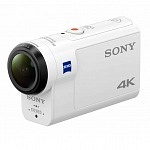 The camera features a 12,35 MP Sony IMX377 sensor. That’s a 1/2.3″ CMOS image sensor with Exmor R ability. 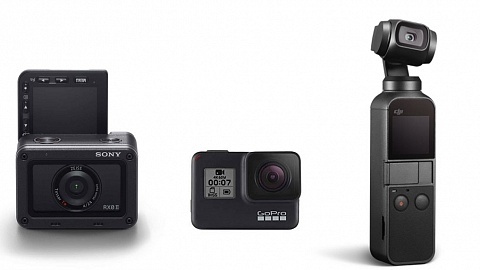 Don’t get irritated as the sensor of the first Yi Action Camera features the larger 16 MP Sony Exmor IMX206 sensor. The IMX377 is faster and enables the new model to shoot native 4K video! 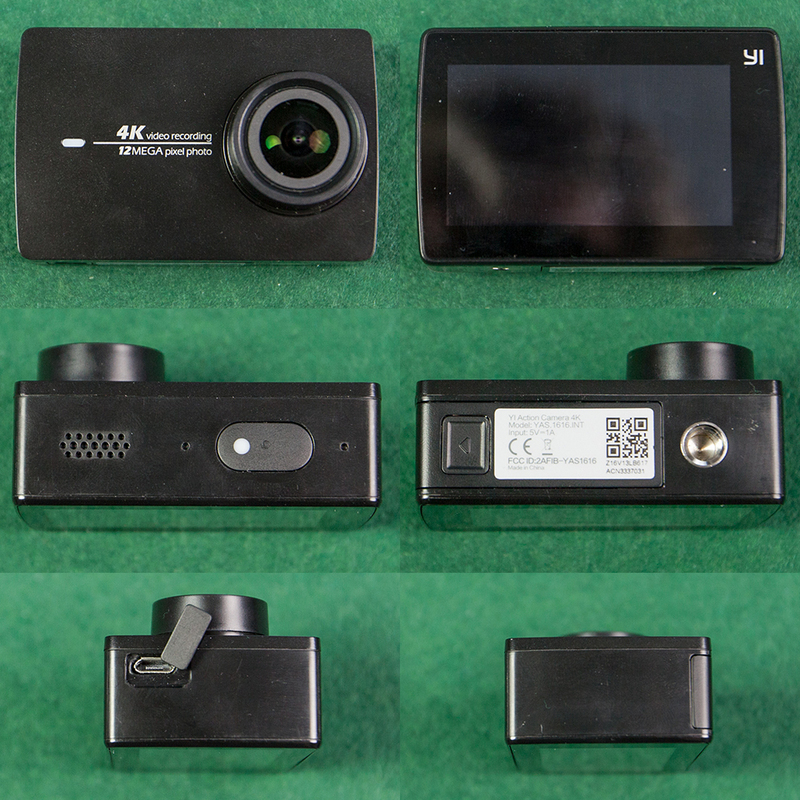 YI 4K Action Camera holds an Ambarella A9SE chip. 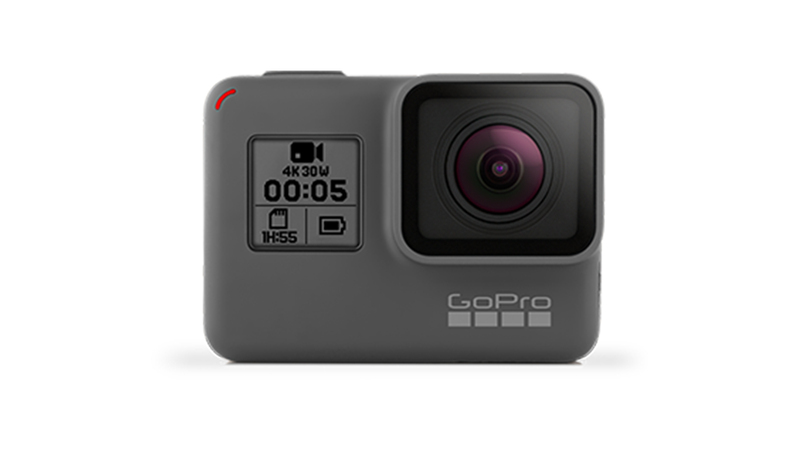 GoPro Hero5 black also uses this chip. YI 4K+ holds the newer H2 model to offer 60fps in 4K. This is an overview, all settings incl. 4:3 options and Ultra mode are listed in the review below. The 100 Mbps bitrate was added with Firmware 1.6.1 in June 2017. 12 MP resolution, so that’s a bit smaller compared to the 16MP photos of YI 1, due to the smaller sensor. But with Firmware 1.6.1 RAW photos are available in DNG format, which isn’t available on the first YI model. 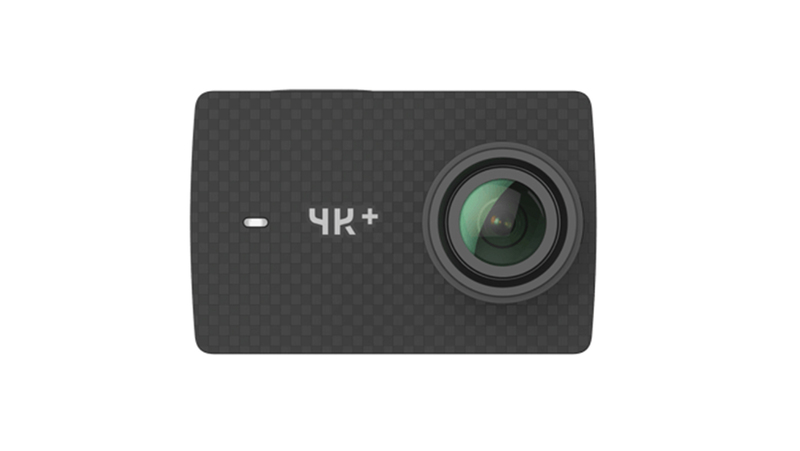 YI 4K Action Camera also features a display: 2,19″ diameter, 640 x 360 pixel with 330PPI resolution. 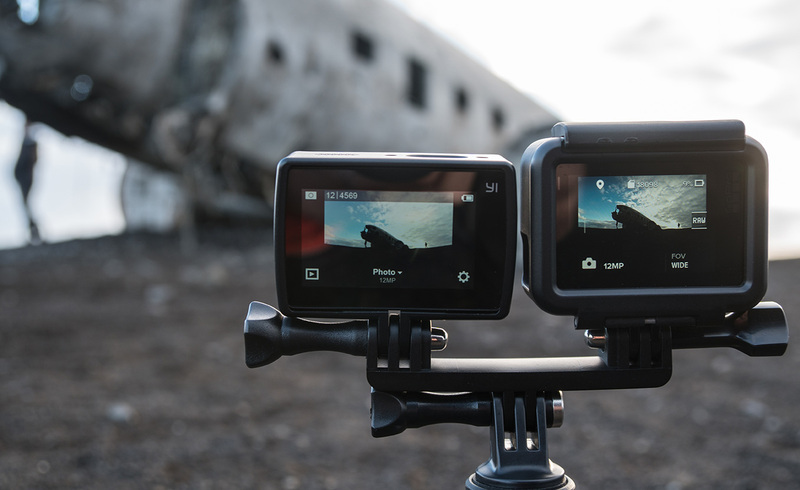 The display is a touch display similar to GoPro Hero5, but a bit larger. 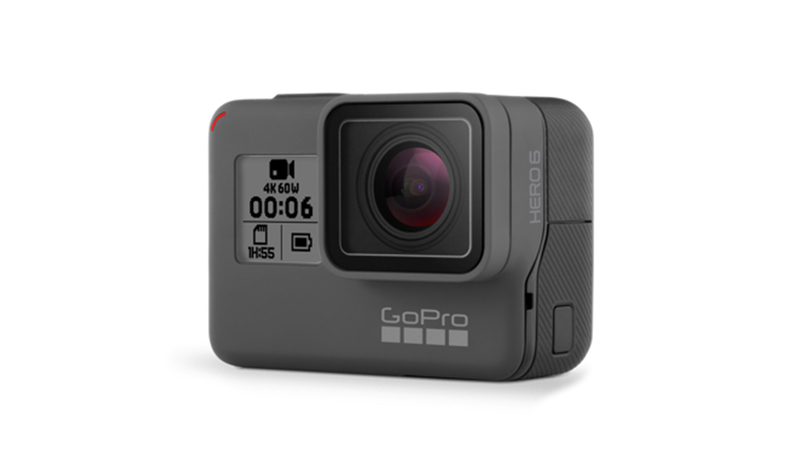 I think the display and response is better than the one on Hero5, but Hero5 might not be as well, as it is waterproof. Battery was improved as well and now got 1400 mAh capacity. 110 min. 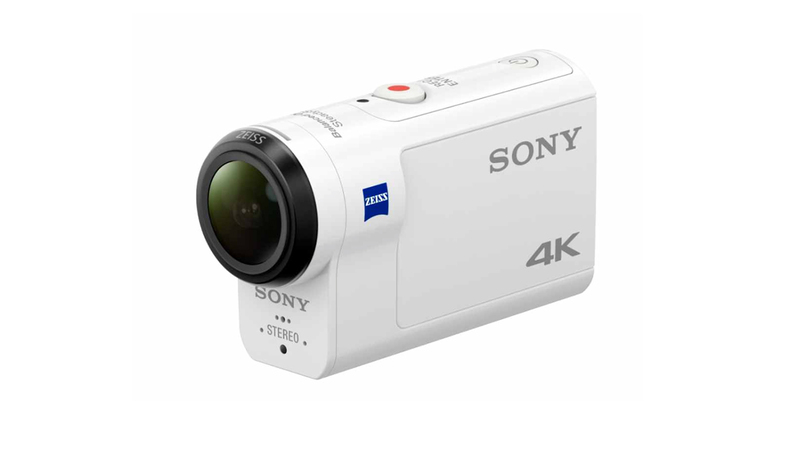 of recording are possible in 4K resolution with 30fps. 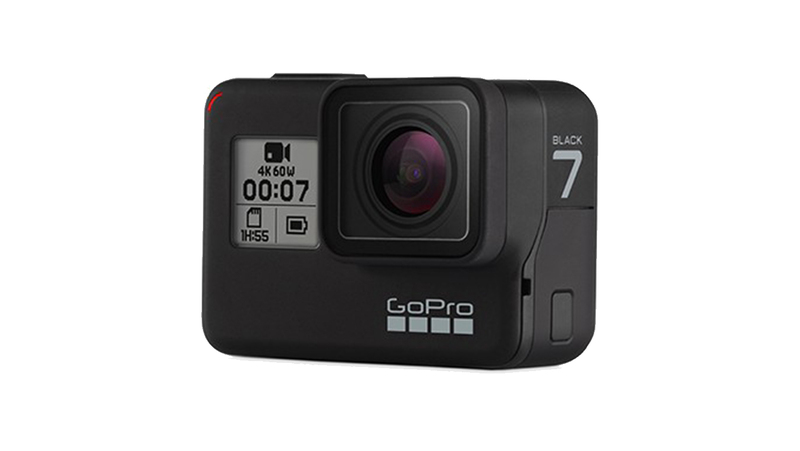 In comparison GoPro Hero5 black uses a 1220 mAh battery. In my long term test I achieved longer battery life and recording time with YI 4K than with GoPro Hero5 black. microSD card up to 128GB are supported; Class U3 is recommended for 4K video recording. 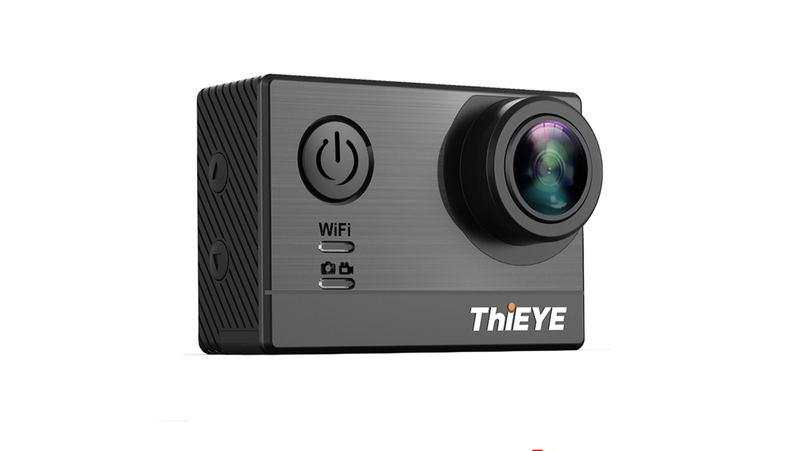 YI 4K Action Camera uses a dual band wifi network (2.4 & 5 GHz) to ensure faster download speeds up to 30Mbps download speed. 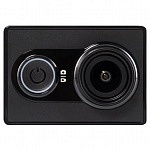 The camera features Bluetooth 4.0 for the remote controller. There is a small opening on the side, for microUSB. There is no microHDMI! A/V out via USB is possible, Mic-in is not available via micro USB ports in general. On the bottom of the camera there’s a door for the battery & microSD card. A 1/4″ standard photo tripod thread sits next to it for mounting. 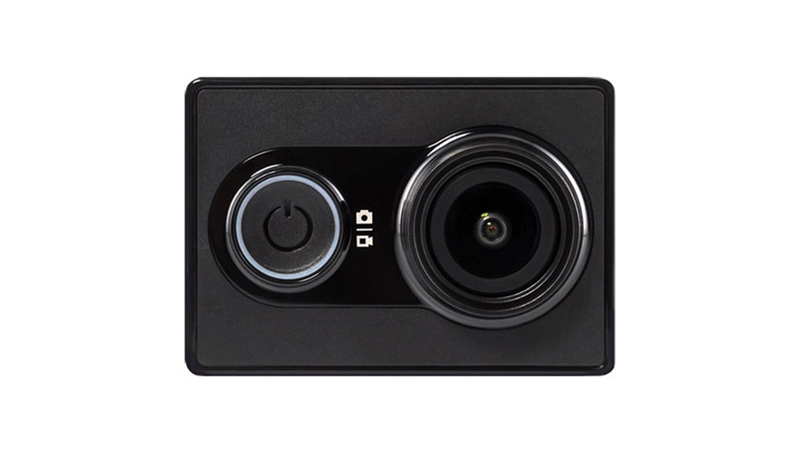 The camera features 3-axis gyroscope and accelerometer to support EIS. 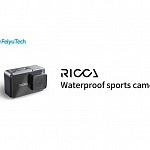 Yi 4K Action Camera features Electronic Image Stabilization! To improve sound recording now 2 microphones are built in, and a speaker for playback. RAW photo was added with a later Firmware. Photo burst mode will shoot 30 images per second. 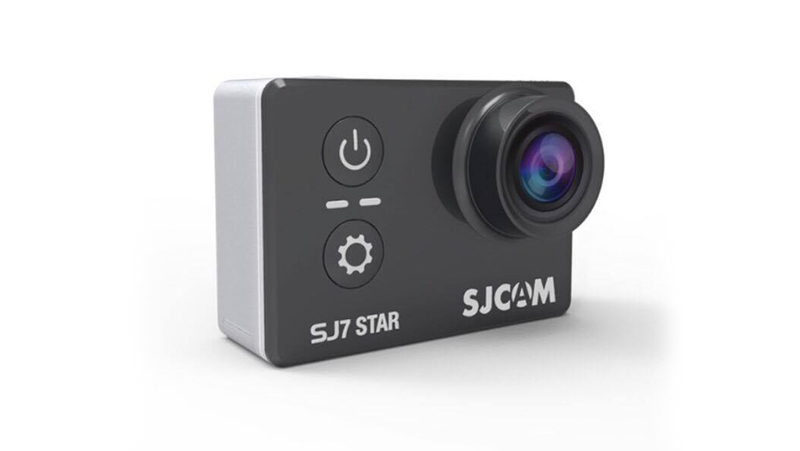 Similar to the Yi 1 there are Photo and Video Time-lapse modes. 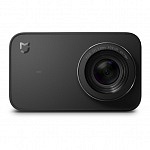 Loop recording is available as well if you want to use it as dash camera. New is a built in Slow Motion setting which doesn’t require editing afterwards! Also new compared to YI 1 is a mode where photos are taken during video recording. 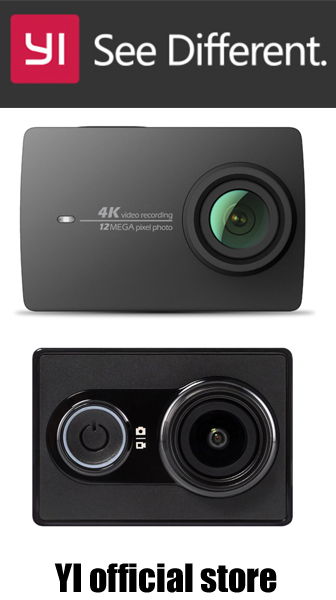 Yi 4K is available in 3 different colors: pearl white, night black, and rose gold. Dimensions: 65 x 42 x 21mm, so it’s a little wider than Yi 1 (60.4 x 42 x 21.2 mm). In standard packaging only USB cable and battery are included. 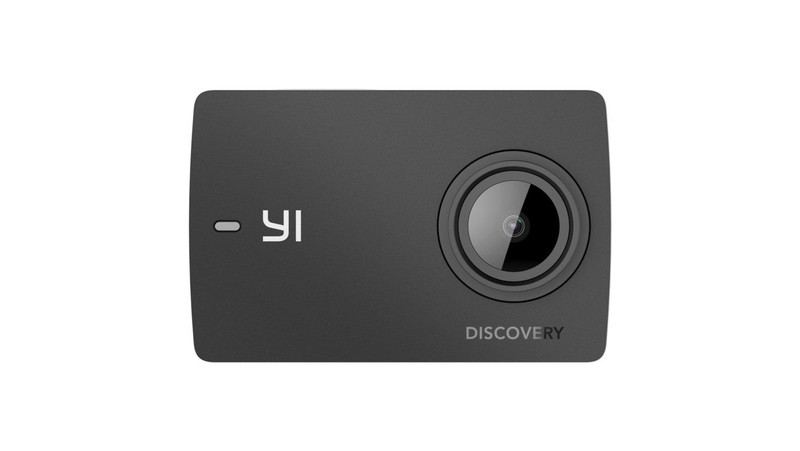 A YI Action Camera Kit 2 was introduced first, but never went on sale. 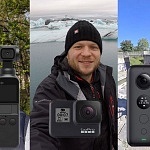 Here you’ll find an overview and reviews of YI 4K Action Camera accessories including original gear as well as 3rd party accessories. 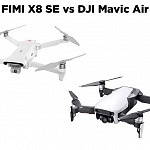 Amazon: Click respective Amazon store that delivers to your region and check for the price and the very frequent promotions. Very often the actual prices are lower or there are coupons (yellow tag)! 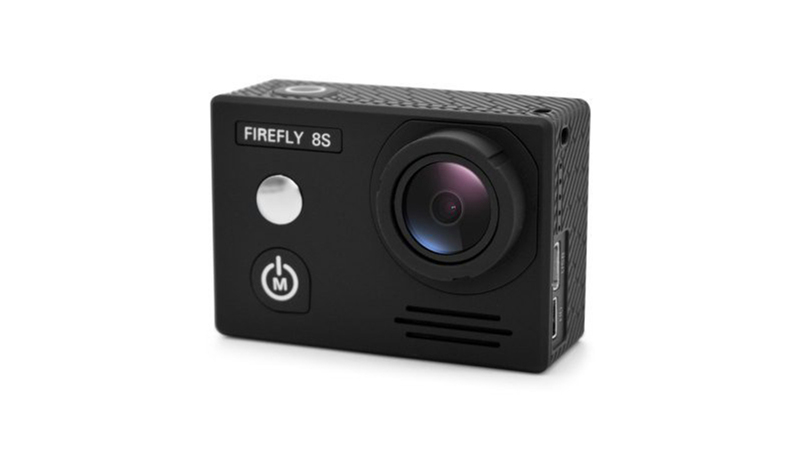 The camera has just one button on top: To power on / off when long pressing it and to start video recording or take a picture when short pressing it. All other settings are done via the touch display. An “in-housing-mode” was introduced to control the camera when placed in the underwater case. When activated and you long press the power button it gets you into a menu which you can browse be pressing the button. More on that later. Next to the button there are the microphones – 2 of them – one each left and right. Also on top of the camera you can find a speaker, which is used to playback audio when watching the recorded footage on the screen. 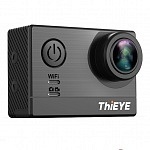 The camera has the same height as the YI Action Camera, but is a little wider. 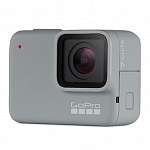 On the bottom there’s a door for battery and microSD card which is not removable like on YI 1, but flip opens like on the GoPro. That’s great as there’s no chance to lose it. On the right side there is an opening for the microUSB port, the door is also attached to the camera. The photos shown below were taken with an earlier Firmware version. The listed settings & description are constantly updated. When swiping left/right on the screen you can switch between camera and photo mode. Swiping down displays a quick menu to switch on/off wifi and bluetooth for remote control; a button to lock the screen and one to turn off the camera. Swiping up accesses the mode menu, same as when you press them in the bottom center. New with Firmware 1.6.1: Swiping up when in Photo or Video Mode activates AE Lock! Photo – to take pictures. Timer, where you can set a countdown before a photo is taken. Burst, where you can set a a number of photos taken within a timeframe. Max. is 30 pictures within a minute. Time-Lapse Video, where a time-lapse is combined into a video file. 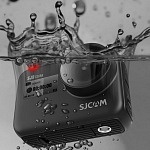 Slow Motion, where you can do slow motion recording without editing the footage afterwards. Time-Lapse Photo, where individual photos are taken, which you can combine to a time-lapse afterwards. Loop Recording, where short video sequences are recorded and overwritten once the microSD card is full. e.g. to use the camera as dashboard camera. Video + Photo, where there are photos taken in a set interval while a video is recorded. Note: video resolution and frame rate are limited to 1080p 60fps max. Live Video (e.g. for Facebook Live Streaming) – with Firmware update 1.3.3. In general there are 2 settings menus: The specific one for the mode you are in (e.g. video or photo – first icon on the left) and a device settings menu (second icon on the left). These menus match the new app where you first see the mode settings and then the option to proceed to the device settings. 30fps vs 25fps (and a multiple of that) is depending if you set the cam to NTCS or PAL (device settings). 24 fps option was added with firmware 1.6.1. as well as 100Mbps bitrate. 24fps is available when PAL or NTCS selected. In the menu you will first see the resolution to select. After making a selection the available frame rates are shown. 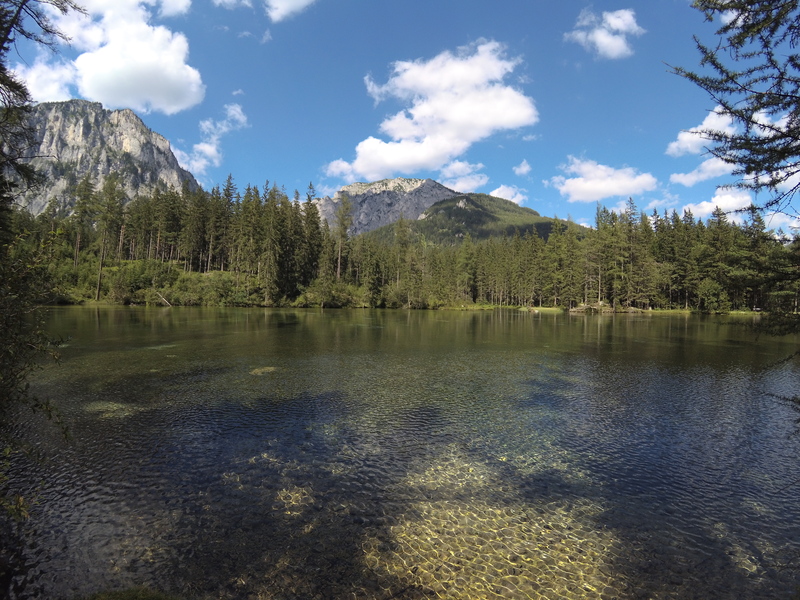 “Ultra” options are similar to GoPro’s superview where the full sensor (4:3) is used and stretched to 16:9. You can narrow the field of view of the camera and select from: Wide, Medium or Narrow. This option is not available in 4K, 2.5K & 1080p 120fps. If you switch on the camera will improve low light performance and might increase shutter to get you better recordings at night. This may result in blurry videos. Auto Low light is not available in 4K & 2.5K; but is available in 1080p 120fps. Standard setting with the latest firmware is now Medium. When selecting High it now enables 100 Mbps recording in 4K with 30fps. You can select predefined settings for color correction based on the given light situation: Auto / Native / Tungsten / Daylight / Cloudy. You can choose YI Color or Flat. Flat color mode will give you a video with lower saturation for color correction in post production, similar to GoPro’s ProTune setting. With firmware update 1.6.1 the general red-ish colors were adjusted a bit. is the sensitivity of the sensor and you can set the max. signal gain. The higher the ISO the brighter, but noisier, your image will get. You can set a value if you don’t want the camera to automatically change (adjust) during recording. Available settings are Auto / 400 / 1600 / 3200 / 6400. You can select High, Medium or Low sharpness. If you want to do color grading in post production, you should set it to low. is the exposure compensation. You can adjust exposure by setting up / down EV in these steps: +- 0.5 / +- 1 / +- 1.5 / +- 2. Switched on the camera will correct shaky images to give you a smooth video. Be aware this works electronically and the image is a little zoomed in. This feature doesn’t work in 4K or 1080p 120fps. (It works in 2.7K resolution mode up to 60fps). To Display date and/or time in your video. You can either set 4GB (the old limit according to FAT32 format) or max. 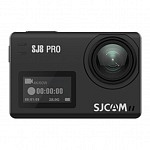 We aware that if the cam stops recording (getting hit, out of battery,..) larger files might not be saved. to manually control shutter, which is a great new option especially for foots at night: 2s / 5s / 10s / 20s / 30s. Same as in video mode: Auto / Native / Tungsten / Daylight / Cloudy. You can choose a flat color option, when you plan to edit the photos afterwards. This item was also change with a later firmware version. You can now set the min. and max. ISO the camera should use. 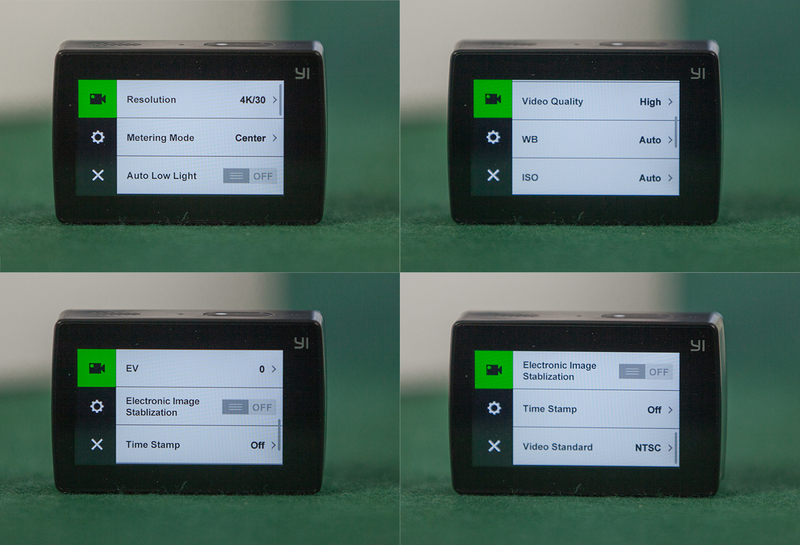 Here you can choose High, Medium or Low Sharpness. Same as in video mode: +- 0.5 / +- 1 / +- 1.5 / +- 2. When switched on you can define a time you captured photo will be shown on the display after you took it. 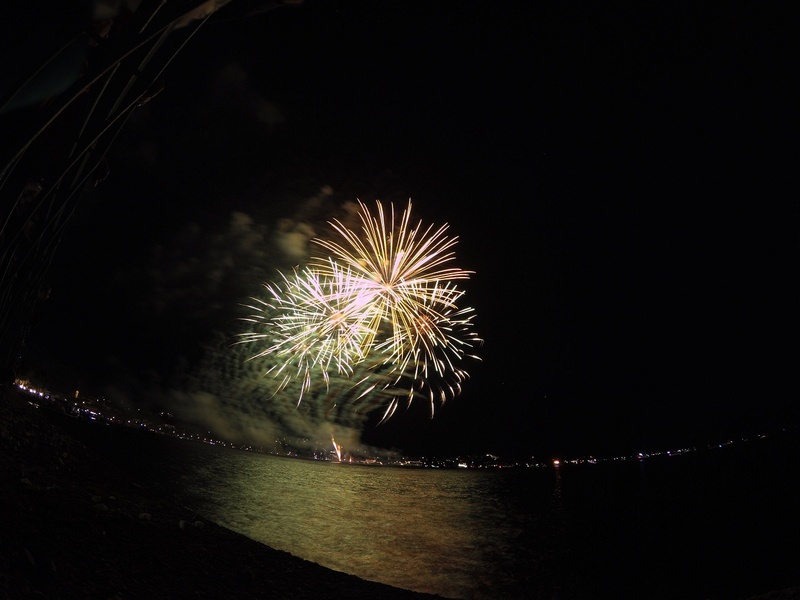 Here’s the RAW photo selection: You can choose JPG or RAW + JPG. Be aware your phone can’t display RAW photos. Frequency: 3p/s – 5p/s – 10p/s – 10p/2s – 10p/3s – 30p/s – 30p/2s – 30p/3s – 30p/6s. Interval: 0.5s / 1s / 2s / 5s / 10s / 30 / 60s. Video Length: Off / 6s / 8s / 10s / 20s / 30s / 60s / 120s. Video time-lapse is currently only available in 2.5K & 4K. If you don’t like the fish eye effect you can electronically correct it. Previously it was labelled Lens aberration correction or lens rectification. Lens distortion adjustment does not work in 4K video mode. 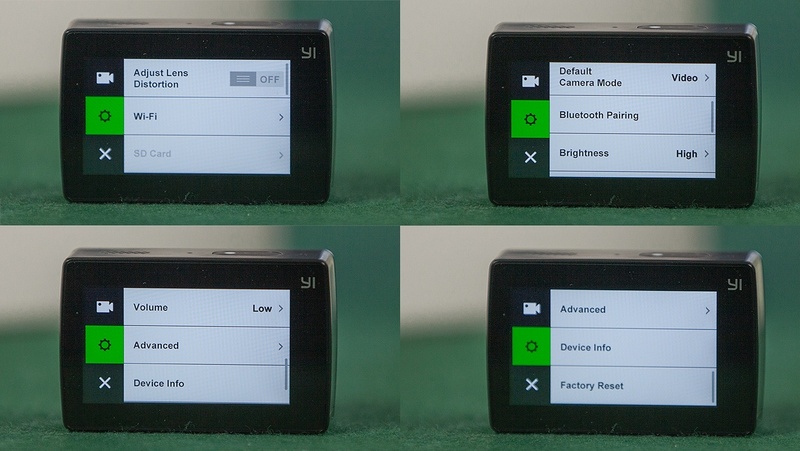 Where you can set switch wifi on and off, display the settings and switch between 2.4G and 5G. Standard password is 1234567890. To see info how much space is used/free and to format your microSD Card. You can set one of the 9 modes in which the camera powers up and additionally set it to “last mode used”. To pair with a bluetooth device e.g. the remote control. Which is the volume for the buzzer sound when hitting the button: High / Low / Mute. You can set the mic of your cam to high or low. Choose low in loud surroundings or when there is a lot of wind noise when not in case. You can also mute audio recording. You can choose between Stereo and Wind. So another option to get better audio if there is a lot of wind. You can choose all on, only status – front LED is turned off, record LED on top will light up during recording – and all off. In House mode was adapted with the latest firmware version and changes the function of the shutter button when you long press it. If activated you now have a new menu where you can access all operation modes and turn off the camera. Of course when long pressing the button you can turn on the camera again. You can switch between NTCS (= 30 fps and a multiple of that) or PAL (=25 fps and a multiple of that). As as side note: 24 fps and a multiple of that are not available which was offered on YI 1. Screen Auto Lock: when the screen turns off to save battery. Auto Power Off: When the cam powers down when in standby. Video Rotation: to flip the image. A/V Out: for video output via USB. To display firmware version and serial number. with 3 options: Reset Settings, Reset Wi-Fi and Reset Bluetooth. Now multiple languages for the menu are supported. Which will show you the internet domains of Yi Technology. At the launch of YI 4K there were international and Chinese versions. In the meantime both versions run the same firmware and can be used with any language. Besides that Chinese versions are not available outside China. My camera was delivered with firmware version 0.3.31 back in 2016. Since then the Firmware was improved many times, you can find all Change logs below. Most notable changes were the addition of flat color, FOV options, Live Streaming, the addition of 24fps, RAW photo and a 100Mb/s option for 4K video (was 60Mb/s). During software update, it is now possible to see progress bar and update info. Added support for large files, and made adjustments to algorithms for SD Card. Added Battery-Save mode option under timer mode. Beta Versions can be found here: YI Camera User Group (Facebook). 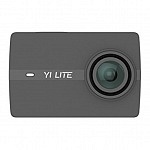 Official Firmware releases are available on YI’s website. 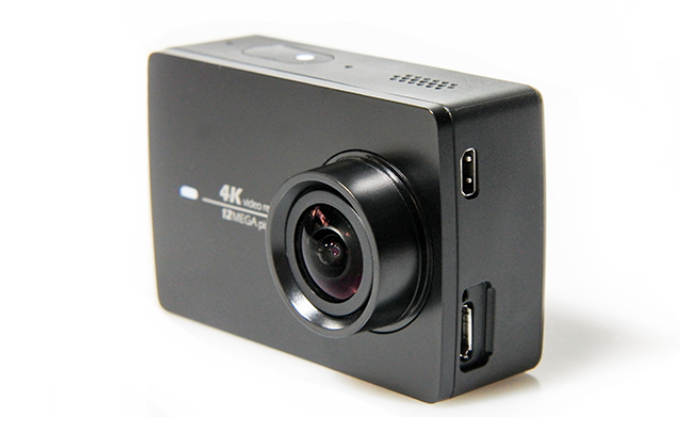 YI 4K definitely set a new benchmark in terms of price and performance. 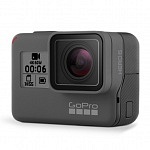 It comes very close to GoPro Hero5 black in terms of image quality. Hero5 still wins with way better audio and features like being waterproof without case. But on the other hand YI 4K is almost half the price! There are a few cheaper native 4K cameras available (e.g. 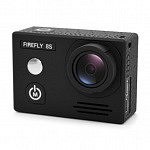 Firefly 8S, Thieye T5 or SJCAM SJ7 Star which were released later) but they don’t offer as many features as YI 4K. 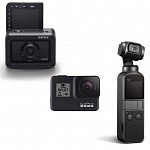 Image Quality – As you can seen in my comparison with the GoPro Hero 5 black shot in 4K, and with Yi Action Camera 1 in 1080p with 60 fps, the image quality is really great. Interface – Touchscreen navigation works really smooth and the structure of the menu is very logical. I like the “quick menu” when swiping down to get quick access to turn on/off wifi and bluetooth. You can quickly turn them on when needed or off to save battery life without browsing the whole menu. 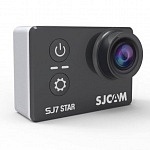 The interface of the camera is really amazing, the best I’ve seen so far on action cameras! Settings you need all the time (resolution, frame rate,…) can be accessed very fast. Camera settings (PAL/NTSC, LED settings,…) are in a separate menu one step further, so you don’t get distracted by them. Battery life – YI 4K offers great battery life when shooting 4K resolution. 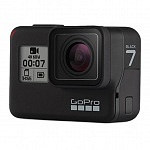 Superb performance compared with other action cameras including GoPro Hero5 black. 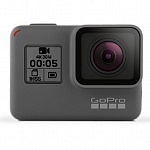 ProTune – With Firmware 1.0.13 there was a new mode introduced – flat color, which seems to be like ProTunes on the GoPro. 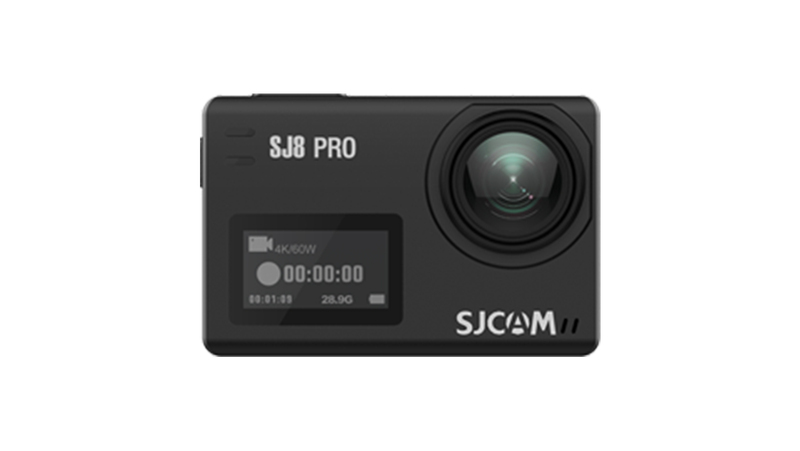 App – If you are using your Action Camera with your smartphone, the app is definitely an important part of it. And the Yi App works great! You can not only change all settings of the camera (which is probably not that important since the on screen menu is great), you can also transfer your photos and videos easily to your smartphone, edit them and share them online! Image stabilization – A great feature to get smooth shots and it works just great. Only disadvantage that it is not available in 4K, that’s because additional “image space” on the sensor is needed to stabilize the video. 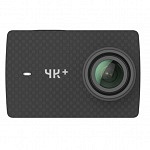 EIS in 4K is available with YI 4K+ Action Camera! Sound – There were some issues with YI 1 having a dull sound, so I was curious about the Yi 2 and it got way better. 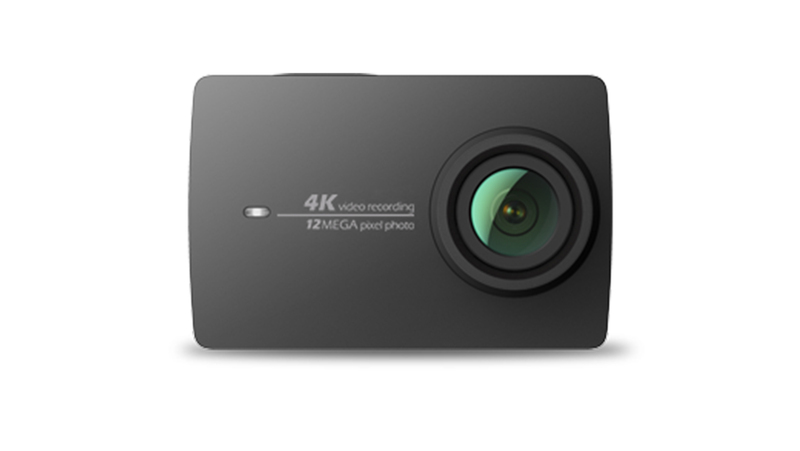 YI 4K Action Camera holds a dual mic and there are no major issues with sound. It’s not perfect, but for an action camera the result is fine. 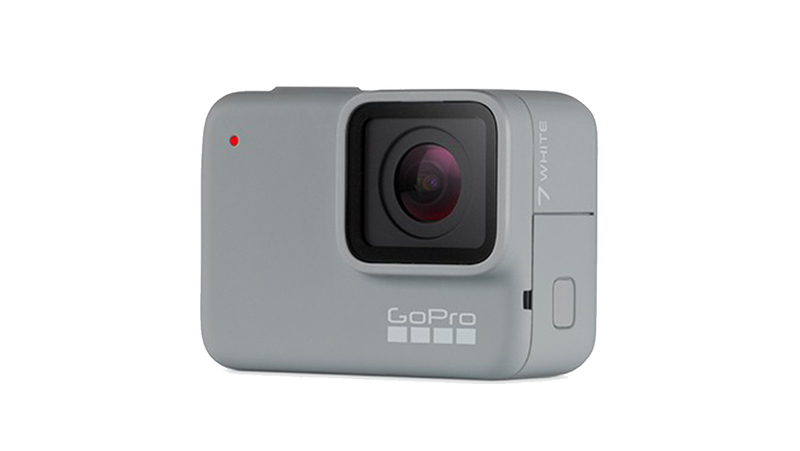 Still GoPro is unbeaten when it comes to audio. 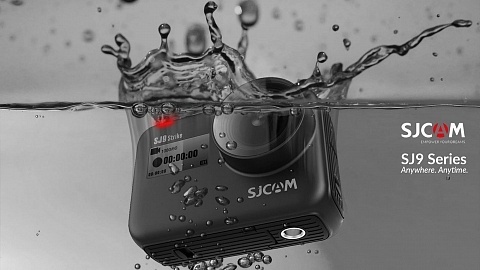 Case – When placing the camera inside the underwater case you can’t easily change between photo / video mode as you can’t access the screen. You can’t change modes using buttons, as there is only one. This issue was fixed with Firmware version 1.0.7 and you now have the described “In housing mode”, but it is not the best solution. The following photos are unedited straight out of the camera. You can click them for full resolution. I took a ton of photos with YI 4K by now, you can browse my best shots in a YI4K Photo Album on my Facebook Site. Amazon: Click the image for the Amazon Store that delivers to your region. There are very frequent promotions so the actual price might be lower or there are coupons (yellow tag below the price).